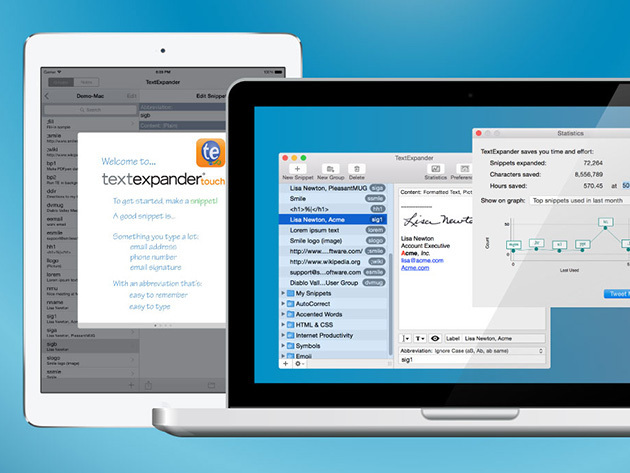 We have a deal on TextExpander, one of our favorite Mac and iOS utilities at TMO. TextExpander lets you create text “snippets” that you can then call with a key combination you designate. It’s great for anything you have to type frequently, especially when combined with powerful for tools for combining the snippet with something in your clipboard. Smile Software moved to a subscription pricing scheme, and our deal will let you get a 1-year subscription for $19.98, 60% off retail. It’s good for one user on an unlimited number of devices.